For other uses, see List of plants known as date palm. Date trees typically reach about 70–75 feet (21–23 m) in height, growing singly or forming a clump with several stems from a single root system. The leaves are 4–6 metres (13–20 ft) long, with spines on the petiole, and pinnate, with about 150 leaflets. The leaflets are 30 cm (12 in) long and 2 cm (0.79 in) wide. The full span of the crown ranges from 6–10 m (20–33 ft). The species name dactylifera "date-bearing" comes from the Greek words daktylos (δάκτυλος), which means "date" (also "finger"), and fero (φέρω), which means "I bear". Dates have been a staple food of the Middle East and the Indus Valley for thousands of years. There is archaeological evidence of date cultivation in eastern Arabia in 6000 BCE. (Alvarez-Mon 2006). They are believed to have originated around what is now Iraq, and have been cultivated since ancient times from Mesopotamia to prehistoric Egypt, possibly as early as 4000 BCE. The Ancient Egyptians used the fruits to make date wine, and ate them at harvest. There is also archeological evidence of date cultivation in Mehrgarh around 7000 BCE, a Neolithic civilization in what is now western Pakistan. Evidence of cultivation is continually found throughout later civilizations in the Indus Valley, including the Harappan period 2600 to 1900 BCE. In later times, traders spread dates around South West Asia, northern Africa, and Spain. Dates were introduced into Mexico and California by the Spaniards in 1765, around Mission San Ignacio. 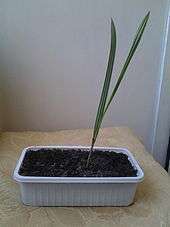 A date palm cultivar, known as Judean date palm is renowned for its long-lived orthodox seed, which successfully sprouted after accidental storage for 2000 years. This particular seed is presently reputed to be the oldest viable seed, but the upper survival time limit of properly stored seeds remains unknown. 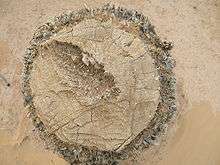 Fossil records show that the date palm has existed for at least 50 million years. Fresh dates, clockwise from top right: crunchy, crunchy opened, soft out of skin, soft. The fruit is known as a date. The fruit's English name (through Old French), as well as the Latin species name dactylifera, both come from the Greek word for "finger", dáktulos, because of the fruit's elongated shape. Dates are oval-cylindrical, 3–7 cm long, and 2–3 cm (0.79–1.18 in) diameter, and when ripe, range from bright red to bright yellow in colour, depending on variety. Dates contain a single stone about 2–2.5 cm (0.79–0.98 in) long and 6–8 mm (0.24–0.31 in) thick. Three main cultivar groups of date exist: soft (e.g. 'Barhee', 'Halawy', 'Khadrawy', 'Medjool'), semi-dry (e.g. 'Dayri', 'Deglet Noor', 'Zahdi'), and dry (e.g. 'Thoory'). The type of fruit depends on the glucose, fructose, and sucrose content. The date palm is dioecious, having separate male and female plants. They can be easily grown from seed, but only 50% of seedlings will be female and hence fruit bearing, and dates from seedling plants are often smaller and of poorer quality. Most commercial plantations thus use cuttings of heavily cropping cultivars. Plants grown from cuttings will fruit 2–3 years earlier than seedling plants. Dates are naturally wind pollinated, but in both traditional oasis horticulture and in the modern commercial orchards they are entirely pollinated manually. Natural pollination occurs with about an equal number of male and female plants. However, with assistance, one male can pollinate up to 100 females. Since the males are of value only as pollinators, this allows the growers to use their resources for many more fruit-producing female plants. Some growers do not even maintain any male plants, as male flowers become available at local markets at pollination time. Manual pollination is done by skilled labourers on ladders, or by use of a wind machine. In some areas such as Iraq the pollinator climbs the tree using a special climbing tool that wraps around the tree trunk and the climber's back (called تبلية in Arabic) to keep him attached to the trunk while climbing. Dates ripen in four stages, which are known throughout the world by their Arabic names kimri (unripe), khlal (full-size, crunchy), rutab (ripe, soft), tamr (ripe, sun-dried). Dates are an important traditional crop in Iraq, Arabia, and north Africa west to Morocco. Dates are also mentioned more than 50 times in the Bible and 20 times in the Qur'an. In Islamic culture, dates and yogurt or milk are traditionally the first foods consumed for Iftar after the sun has set during Ramadan. Dates (especially Medjool and Deglet Noor) are also cultivated in America in southern California, Arizona and southern Florida in the United States and in Sonora and Baja California in Mexico. Date palms can take 4 to 8 years after planting before they will bear fruit, and produce viable yields for commercial harvest between 7 and 10 years. Mature date palms can produce 68 to 176 kilograms (150 to 300 lb) of dates per harvest season, although they do not all ripen at the same time so several harvests are required. In order to get fruit of marketable quality, the bunches of dates must be thinned and bagged or covered before ripening so that the remaining fruits grow larger and are protected from weather and pests such as birds. Aabel – common in Libya. Ajwah – from the town of Medina in Saudi Arabia, it is the subject of a Hadith. Al-Khunaizi – from the town of Qatif in Saudi Arabia. Amir Hajj or Amer Hajj – from Iraq, these are soft with a thin skin and thick flesh, sometimes called "the visitor's date" because it is a delicacy served to guests. ʿAbid Rahim (Arabic: عبد رحيم‎‎) – from Sudan. In Nigeria it is called Dabino and is commonly used by Nigerian Muslims to break their Ramadan fast. Barakawi (Arabic: بركاوي‎‎) – from Sudan. Barhee or barhi (from Arabic barh, meaning "a hot wind") – these are nearly spherical, light amber to dark brown when ripe; soft, with thick flesh and rich flavour. One of the few varieties that are good in the khalal stage when they are yellow (like a fresh grape as opposed to dry, like a raisin). Bireir (Arabic: برير‎‎) – from Sudan. 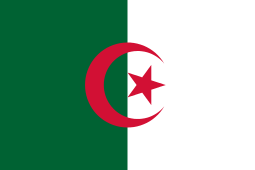 Deglet Noor (Algerian Arabic: دڨلة نور )— so named because the centre appears light or golden when held up to the sun. This is a leading date in Libya, Algeria, the United States, and Tunisia, in the latter it is grown in inland oases and is the chief export cultivar. Its texture is semi-dry and is not very sweet. Derrie or Dayri (the "Monastery" date) – from southern Iraq – these are long, slender, nearly black, and soft. Empress – developed by the DaVall family in Indio, California, United States, from a seedling of Thoory. It is large, and is softer and sweeter than Thoory. It generally has a light tan top half and brown bottom half. Fardh or Fard – common in Oman, deep dark brown, tender skin, sweet flavor, small seed. Keeps well when well packed. Ftimi or Alligue – these are grown in inland oases of Tunisia. Holwah (Halawi) (Arabic for sweet) – these are soft, and extremely sweet, small to medium in size. Haleema – in Hoon, Libya (Haleema is a woman's name). Hayany (Hayani) – from Egypt ("Hayany" is a man's name) – these dates are dark-red to nearly black and soft. Iteema – common in Algeria. Khadrawi or Khadrawy (Arabic: 'green') – a cultivar favoured by many Arabs, it is a soft, very dark date. 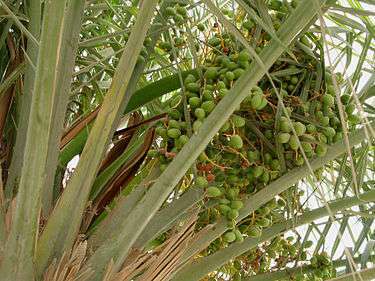 Khalasah (Arabic for quintessence) – one of the most famous palm cultivars in Saudi Arabia, famous for its sweetness level that is not high nor low, thus, suits most people. Its fruit is called Khlas. Its famous place is Hofuf (Al-Ahsa) and Qatif in the Eastern Province of Saudi Arabia (ash-Sharqīyah). Khastawi (Khusatawi, Kustawy) – this is the leading soft date in Iraq; it is syrupy and small in size, prized for dessert. Lulu – from United Arab Emirates. Maktoom (Arabic for hidden) – this is a large, red-brown, thick-skinned, soft, medium-sweet date. Manakbir – a large fruit that ripens early. Medjool or (Majdool) (Arabic: مجدول‎‎) – from Morocco, also grown in the United States, Israel, Saudi Arabia, Jordan, and Palestinian Territories; a large, sweet and succulent date. Migraf (Mejraf) – very popular in Southern Yemen, these are large, golden-amber dates. Mishriq (Arabic: مشرق‎‎ "east") – from Sudan and Saudi Arabia. Mazafati or Mozafati – (Persian: مضافتی‎‎, "Suburban/Peripheral") It is a dark, fleshy and sweet date of medium size with a relatively high moisture content and is suited for fresh consumption, i.e. not dried. At a temperature of −5 degrees Celsius (23 °F) it can be kept for up to 2 years. 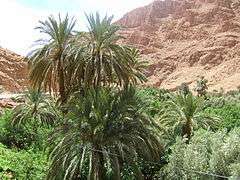 It is grown in Iran, in particular in Kerman province, and often named "Bam date", after the city of Bam in that province. Piarom (also known as maryami, mariami, marayami or "chocolate") – A round, black-brown semi-dry date. Rotab (Arabic :رطب) – from Saudi Arabia, they are dark and soft. Saidy (Saidi) – soft, very sweet, these are popular in Libya. Sayer (Sayir) (Arabic for common) – these dates are dark orange-brown, of medium size, soft and syrupy. Sukkary – (lit. sugary) (Arabic: سكري) Dark brown skin; distinctly sweet and soft flesh, from Saudi Arabia (Qassim), it is the most expensive kind. Sellaj – (Arabic: سلّج‎‎) in Saudi Arabia. indi - (Sinhala: ඉඳ) called in Sri Lanka. Thoory (Thuri) – popular in Algeria, this dry date is brown-red when cured with a bluish bloom and very wrinkled skin. Its flesh is sometimes hard and brittle but the flavour described as sweet and nutty. Umelkhashab – Brilliant red skin; bittersweet, hard white flesh (Saudi Arabia). Zahidi (Arabic for [Of the] ascetic) – these medium size, cylindrical, light golden-brown semi-dry dates are very sugary, and sold as soft, medium-hard and hard. Zaghloul (Arabic: زغلول‎‎) – Dark red skin, long, and very crunchy when fresh (when they are typically served); extremely sweet, with sugar content creating a sense of desiccation in the mouth when eaten. The variety is essentially exclusive to Egypt, where it is subject to an element of nationalist sentiment on account of sharing a name with national hero Saad Zaghloul. The Gaza Strip, especially Deir al-Balah ("Village of Dates"), is known for its exceptionally sweet red dates. 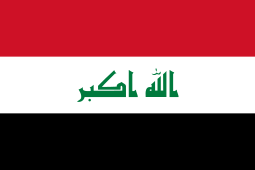 There are more than 100 known cultivars in Iraq. It should be noted, however, that a cultivar can have several names depending on the locality. Dry or soft dates are eaten out-of-hand, or may be pitted and stuffed with fillings such as almonds, walnuts, pecans, candied orange and lemon peel, tahini, marzipan or cream cheese. Pitted dates are also referred to as stoned dates. Partially dried pitted dates may be glazed with glucose syrup for use as a snack food. Dates can also be chopped and used in a range of sweet and savory dishes, from tajines (tagines) in Morocco to puddings, ka'ak (types of Arab cookies) and other dessert items. Date nut bread, a type of cake, is very popular in the United States, especially around holidays. Dates are also processed into cubes, paste called "'ajwa", spread, date syrup or "honey" called "dibs" or "rub" in Libya, powder (date sugar), vinegar or alcohol. Vinegar made from dates is a traditional product of the Middle East. Recent innovations include chocolate-covered dates and products such as sparkling date juice, used in some Islamic countries as a non-alcoholic version of champagne, for special occasions and religious times such as Ramadan. When Muslims break fast in the evening meal of Ramadan, it is traditional to eat a date first. In Southeast Spain (where a large date plantation exists including UNESCO protected Palmeral of Elche) dates (usually pitted with fried almond) are served wrapped in bacon and shallow fried. In Israel date syrup is used while cooking chicken and also for sweet and desserts. It is also used to make Jallab. Dates provide a wide range of essential nutrients, and are a very good source of dietary potassium. The sugar content of ripe dates is about 80%; the remainder consists of protein, fiber, and trace elements including boron, cobalt, copper, fluorine, magnesium, manganese, selenium, and zinc. The glycemic index for three different varieties of dates are 35.5 (khalas), 49.7 (barhi), and 30.5 (bo ma'an). The caffeic acid glycoside 3-O-caffeoylshikimic acid (also known as dactylifric acid) and its isomers, are enzymic browning substrates found in dates. 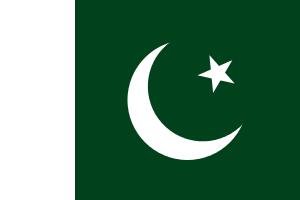 In Pakistan, a viscous, thick syrup made from the ripe fruits is used as a coating for leather bags and pipes to prevent leaking. Date seeds are soaked and ground up for animal feed. Their oil is suitable for use in soap and cosmetics. Date palm seeds contain 0.56–5.4% lauric acid. They can also be processed chemically as a source of oxalic acid. The seeds are also burned to make charcoal for silversmiths, and can be strung in necklaces. Date seeds are also ground and used in the manner of coffee beans, or as an additive to coffee. Experimental studies have shown that feeding mice with the aqueous extract of date pits exhibit anti-genotoxic and reduce DNA damage induced by N-Nitroso-N-methylurea. Stripped fruit clusters are used as brooms. Recently the floral stalks have been found to be of ornamental value in households. In large parts of Northern India the local species of wild date palm, Phoenix sylvestris, is tapped for palm wine, while in Bangladesh, Pakistan and other countries in the region it is now mostly tapped for jaggery and palm syrup production. Wild date palms are also tapped in large parts of Africa for palm wine. The process of palm tapping involves the cutting of the unopened flower stalk and then fastening a bottle gourd, clay or plastic vessel on to it. The palm sap then collects in the vessel and is harvested in the early morning hours. If a few drops of lime juice are added to the palm sap, fermentation can be stopped and the sap can then be boiled to form palm syrup, palm sugar, jaggery and numerous other edible products derived from the syrup. In India and Pakistan, North Africa, Ghana, and Ivory Coast, date palms are tapped for the sweet sap, which is converted into palm sugar (known as jaggery or gur), molasses or alcoholic beverages. In North Africa the sap obtained from tapping palm trees is known as lāgbī. If left for a sufficient period of time (typically hours, depending on the temperature) lāgbī easily becomes an alcoholic drink. Special skill is required when tapping the palm tree so that it does not die. Young date leaves are cooked and eaten as a vegetable, as is the terminal bud or heart, though its removal kills the palm. The finely ground seeds are mixed with flour to make bread in times of scarcity. The flowers of the date palm are also edible. Traditionally the female flowers are the most available for sale and weigh 300–400 grams. The flower buds are used in salad or ground with dried fish to make a condiment for bread. 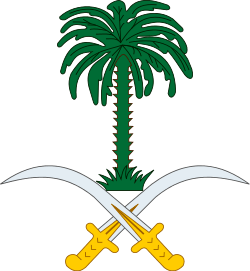 Date Palm in the Coat of arms of Saudi Arabia. For more details on this topic, see Palm branch (symbol). The date palm represents the provincial tree of Balochistan (Pakistan) (unofficial). In the Quran, Allah instructs Maryām (the Virgin Mary) to eat dates when she gives birth to Isa (Jesus); and, similarly, they are recommended to pregnant women. Date Palms are susceptible to a disease called Bayoud disease, which is caused by the fungus Fusarium oxysporum. This disease, which kills many of the popular older cultivars like Deglet Noor, has led to a major decline in production where it is present, notably Morocco and western Algeria. However, new cultivars resistant to the disease are being developed. A major palm pest, the red palm beetle (Rhynchophorus ferrugineus) currently poses a significant threat to date production in parts of the Middle East as well as to iconic landscape specimens throughout the Mediterranean world. In the 1920s, eleven healthy Madjool palms were transferred from Morocco to the United States where they were tended by members of the Chemehuevi tribe in a remote region of Nevada. Nine of these survived and in 1935, cultivars were transferred to the "U.S. Date Garden" in Indio, California. Eventually this stock was reintroduced to Africa and led to the U.S. production of dates in Yuma, Arizona and the Bard Valley in California. In 2009, a team of researchers at the Weill Cornell Medical College in Qatar published a draft version of the date palm genome (Khalas variety). 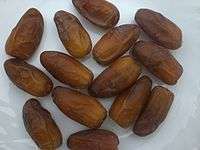 Several types of dates can be found in Arabia, some of them are listed here. Date palm with fruits at the Abdul Aziz Date Farm in Medina. Ripe and dry dates fruit bunches at the Khurram Abdullah Bajwa Date Farm in Medina. ↑ The Plant List, Phoenix dactylifera L.
↑ Divya Bichu. "Arabian Desert Plants". Buzzle. Retrieved 19 April 2015. ↑ fĕro. Charlton T. Lewis and Charles Short. A Latin Dictionary on Perseus Project. ↑ Kenoyer, Jonathan Mark; Heuston, Kimberley Burton (2005). The Ancient South Asian World. The World in Ancient Times. Oxford University Press. ISBN 978-0-19-522243-2. Retrieved 30 July 2013. ↑ Hanson, Wendy (2008-06-13). "Date palm seed from Masada is the oldest to germinate". Los Angeles Times. ↑ Bonner, Franklin T. (April 2008). "Chapter 4 Storage of Seeds" (PDF). Woody Plant Seed Manual,USDA FS Agriculture Handbook 727. National Seed Laboratory, 5675 Riggins Mill Rd, Dry Branch, GA 31020. Retrieved 2008-06-21. ↑ "Medjool: A Date to Remember". NPR.org. 17 October 2007. Retrieved 19 April 2015. ↑ "Date Palm". 15 October 2008. HowStuffWorks.com. ↑ "The Date, Phoenix dactylifera". Retrieved 19 April 2015. ↑ "Exporter and Supplier of Mazafati Date - Green Diamond Dates". ↑ "Nakhil Dates - Iranian Dates Exporter". Retrieved 19 April 2015. ↑ "Date Fruits: Benefits,Palm,cultivation - Green Diamond Dates". ↑ Das, Bhagwan; Sarin, J. L. (1936). "Vinegar from Dates". Industrial & Engineering Chemistry. 28 (7): 814. doi:10.1021/ie50319a016. ↑ Forbes, Robert James (1971). "Studies in Ancient Technology". ↑ Walid Al-Shahib, Richard J. Marshall (2003). "The fruit of the date palm: its possible use as the best food for the future?". International Journal of Food Sciences and Nutrition. 54 (4): 247–259. doi:10.1080/09637480120091982. ↑ Miller, CJ; Dunn, EV; Hashim, IB (2002). "Glycemic index of 3 varieties of dates". Saudi medical journal. 23 (5): 536–8. PMID 12070575. ↑ Maier, VP; Metzler, DM; Huber, AF (1964). "3-O-Caffeoylshikimic acid (dactylifric acid) and its isomers, a new class of enzymic browning substrates". Biochemical and Biophysical Research Communications. 14: 124–8. doi:10.1016/0006-291x(64)90241-4. PMID 5836492. ↑ Diab, K.A; E. I. Aboul-Ela (2012). "In Vivo Comparative Studies on Antigenotoxicity of Date Palm (Phoenix Dactylifera L.) Pits Extract Against DNA Damage Induced by N-Nitroso-N-methylurea in Mice". Toxicology International. 19 (3): 279–286. doi:10.4103/0971-6580.103669. PMC 3532774 . PMID 23293467. ↑ Kiran, S (2014). "Floral Stalk on Date Palm: A New Discovery". Int J Agril Res Innov Tech. 4 (2). doi:10.3329/ijarit.v4i2.22649. ↑ Allen, Lee (25 April 2014). "How One Indian Couple Saved 'The Fruit of Kings'". 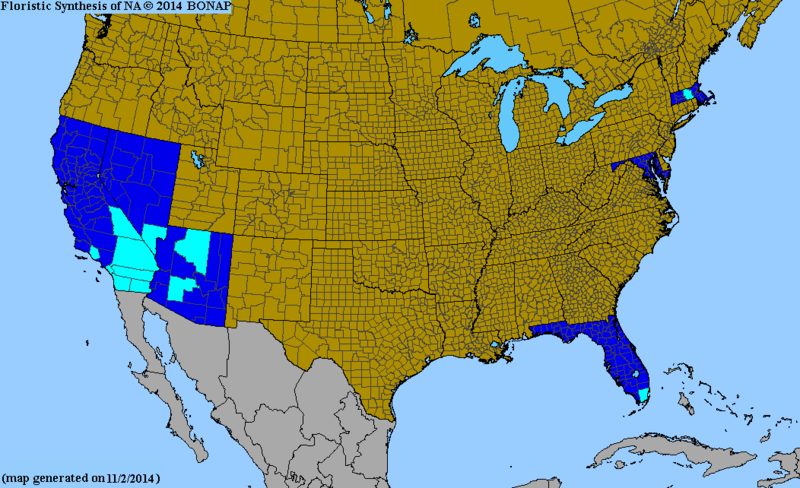 Indian Country News. Retrieved 2016-02-27. ↑ Krueger, Robert R. "Date Palm Genetic Resource Conservation, Breeding, Genetics, And Genomics In California" (PDF). The Conference Exchange. Retrieved 2016-02-27. Wikimedia Commons has media related to Phoenix dactylifera. Wikisource has the text of the 1911 Encyclopædia Britannica article Date Palm.